You will like it try and please let me know your feed backs. Take oil in a kadai add grinded onions, green chilies make it golden brown. Now add ginger garlic paste, grinded tomatoes, red chilies, coriander powder, garam masala and salt. 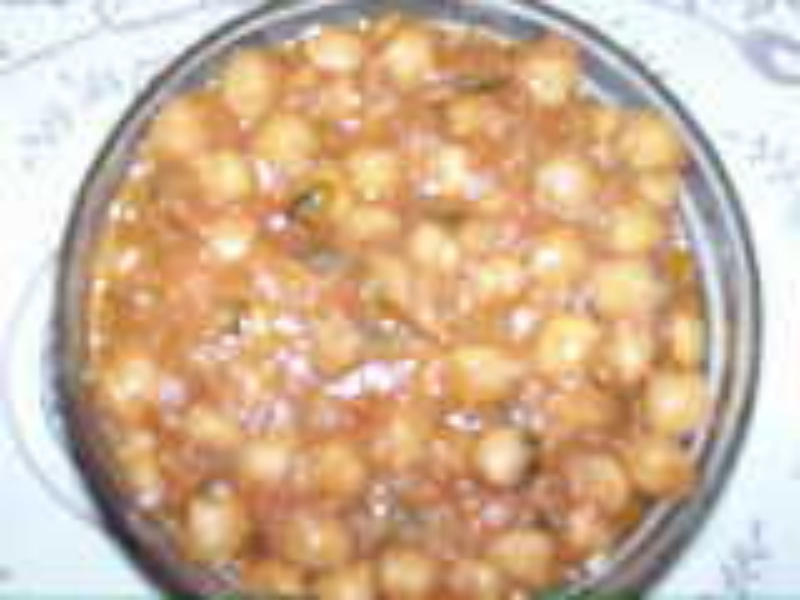 After the tomatoes get cooked add boiled chick peas. Add water as required for thickness, add coriander leaves and serve hot with chapattis or rice. Wow! this recipe is so easy and tasty all of my family member liked it alot, all should try this....thanks Kavita.